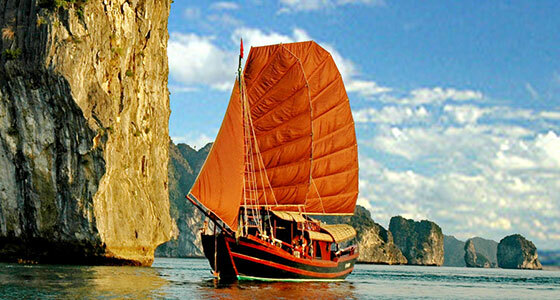 For those wishing to see the famous World Heritage Site of Ha Long Bay, but want to remain flexible, perhaps due to different travel preferences within your group, then Oriental Sails 3 star Cruise for 2 or 3 days is perfect. Both cruises allow guests to choose between two different activities for one of the days, deciding if they want to focus on culture or nature. 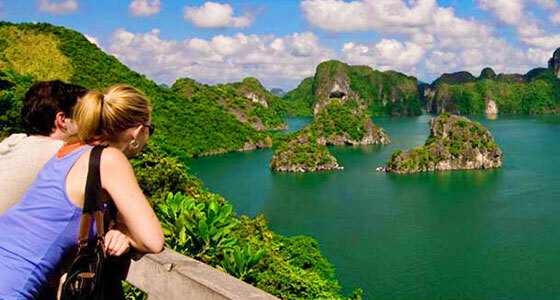 This is of course accompanied by all the usual amazing sights of Ha Long, and this cruise will leave you feeling like you got to thoroughly explore the bay and its wonders. For those interested in some cultural discovery, take a bamboo rowboat to Vung Vieng fishing village, one of the largest of its kind in Ha Long Bay and set inside a closed lagoon surrounded by mountains, making it a site of gorgeous nature as well as cultural discovery. 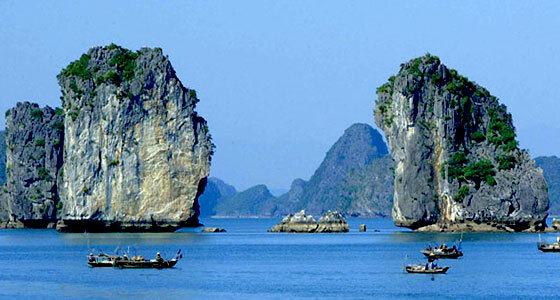 More active travellers may prefer to spend the day swimming at the beach and kayaking around the still waters. For this option we’ll take you to Ban Chan Beach where all of these activities and more can be participated in. Regardless of which option you choose, you will return to the boat at 16:30 to get cleaned up and enjoy the sunset with a drink in hand. Then there will be a cooking class before we serve dinner at 19:00. You are free to partake in the various activities on-board for the remainder of the evening, such as card games, karaoke or squid fishing. Early risers can participate in a 30 minute Tai Chi lesson on the sundeck at 6:30am as the sun rises, followed by breakfast. We then cruise towards Thien Canh Son Cave, arriving at 9am and spending about half an hour exploring this less frequently visited cave. Once we’re finished it’s time to head back to the boat for check-out and lunch, before you’re ped off at the pier where our driver will be waiting to take you back to Hanoi, arriving back in the capital at around 16:30. Early risers can participate in a 30 minute Tai Chi lesson on the sundeck at 6:30am as the sun rises, followed by breakfast. Next we make a visit to Thay Cave and the nearby coral reef. Here you’ll get to spend some time swimming and jumping from the boat, before going to Vung Ha Lagoon to visit another cave, relax, swim or kayak. At 15:30 we return to the boat to spend the rest of the evening partaking in the on-board activities, before dinner and an overnight stay on-board.